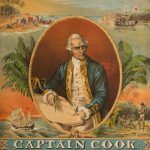 [COOK] Andrew Kippis : autograph letter, signed. Sydenham, Kent, 17 June 1776. 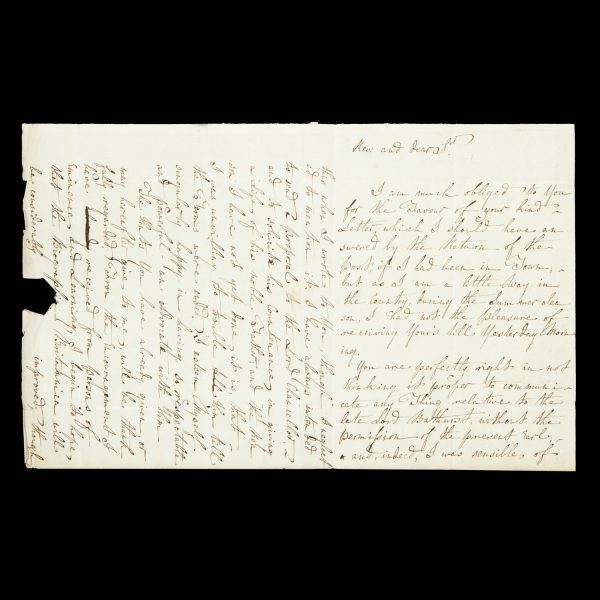 Entire letter, manuscript in ink on single folio sheet of wove paper watermarked G.R., 360 x 230 mm, written on 1 1/4 sides, addressed to ‘The Rev. Mr. Parry, at Cirencester, Gloucestershire’, signed at the foot ‘Your most affectionate Brother and obliged Servant, And. Kippis’; remnants of wax seal; original folds; complete, clean and legible. 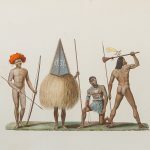 Andrew Kippis (1725-1795), a nonconformist clergyman and prolific writer, was the author of the first biography of James Cook, The life of Captain James Cook (1788). 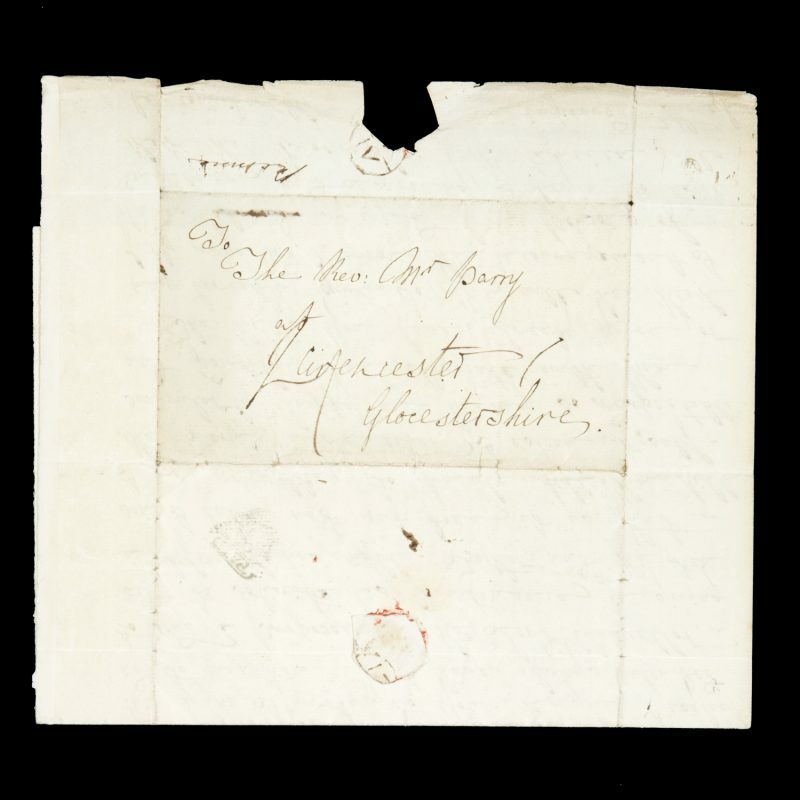 The present letter, addressed to fellow writer and clergyman Joshua Parry in Cirencester, Gloucestershire, is dated less than three months before the recipient’s death. 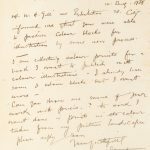 Kippis’ letter deals with a biographical sketch of Allen Bathurst (1st Earl Bathurst) to be published in the Biographia Britannica, which Parry had written and which Kippis was editing. 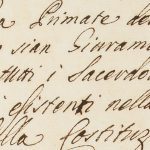 Kippis writes of his hope that by this contribution ‘the Biographia Britannica will be considerably improved; though I am sensible, at the same time, how imperfect it will still be’ – a testament to his commitment to expanding the biographical corpus. Joshua Parry (1719-1776) was a Welsh nonconformist reverend and writer, who famously read a sermon at the funeral for Allen Bathurst, 1st Earl Bathurst, in September 1775, and contributed the biographical sketch about him which was published in Biographia Britannica. Parry was a lifelong friend of Bathurst, whom he had met at Cirencester after his appointment as Minister of the Presbyterian church founded by Alexander Gregory in 1662. He was to remain in Cirencester until his death on 6 September 1776.